i'm a super proud wife, so i have to take a moment to brag about my amazing husband . . .
at our house, we have a bilco door which leads from our back yard to a storage space underneath our back porch. when you open up the bilco door there are three very old wooden steps which take you below the house. we have lived in our house for nearly six years now, and for nearly six years we have been saying that those steps need to be replaced. 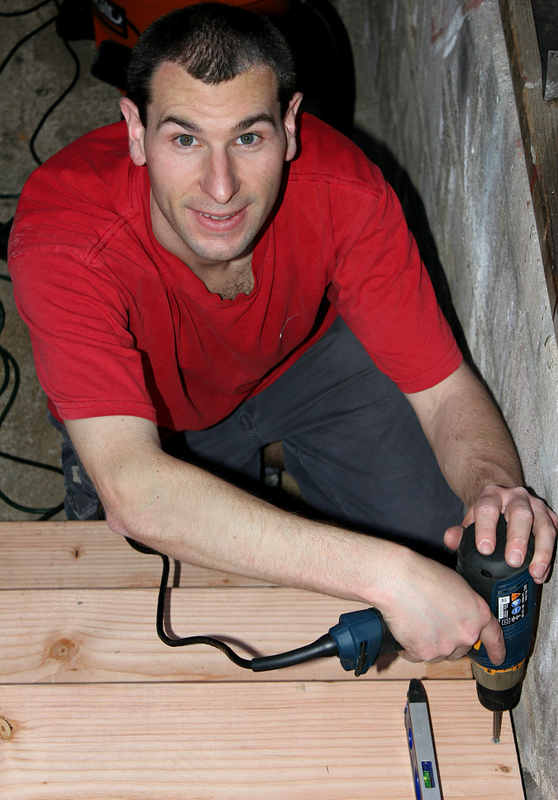 the wood is completely rotten and upon close inspection a few days ago, ryan found out that the the entire stair unit was being held in place by one nail. it's really amazing that we didn't fall through those stupid stairs yet! recently, the steps seemed to get even worse really quickly. they were sagging whenever we walked on them, and they were moving so much. it was downright scary. 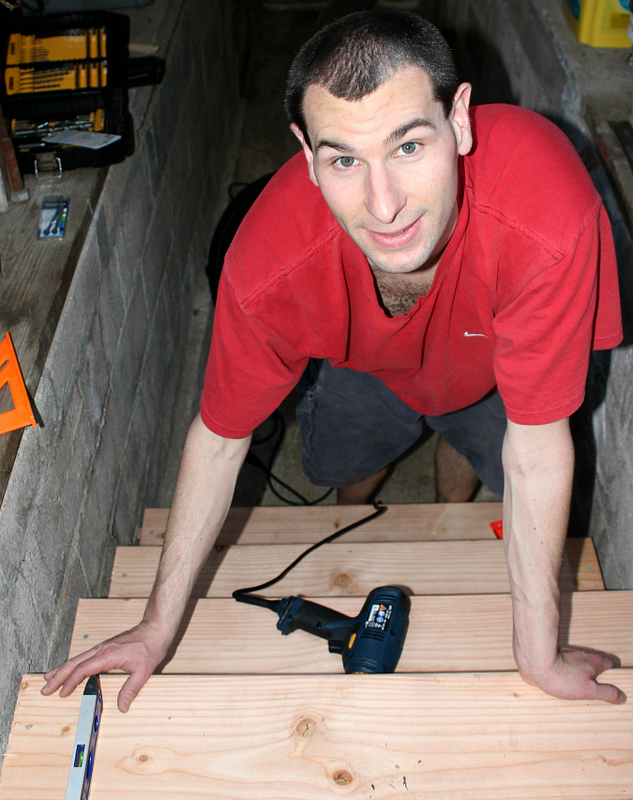 we headed to the hardware store (ryan's version of a toy store) and bought some supplies to build a new staircase. we figured it would be a good summer project one day. when i came home from dance class last night, i was shocked to see that ryan ripped out the old stairs and built a whole new stair case from scratch! i was only gone for less than two hours, and in that amount of time he managed to mow the grass and redo the stairs, holy cow! i am so impressed with that amazing husband of mine. i love how he can envision a project and then just goes out and gets it done in record time. ryan added a fourth step in order to bring the stairs up to code because three steps was not enough. 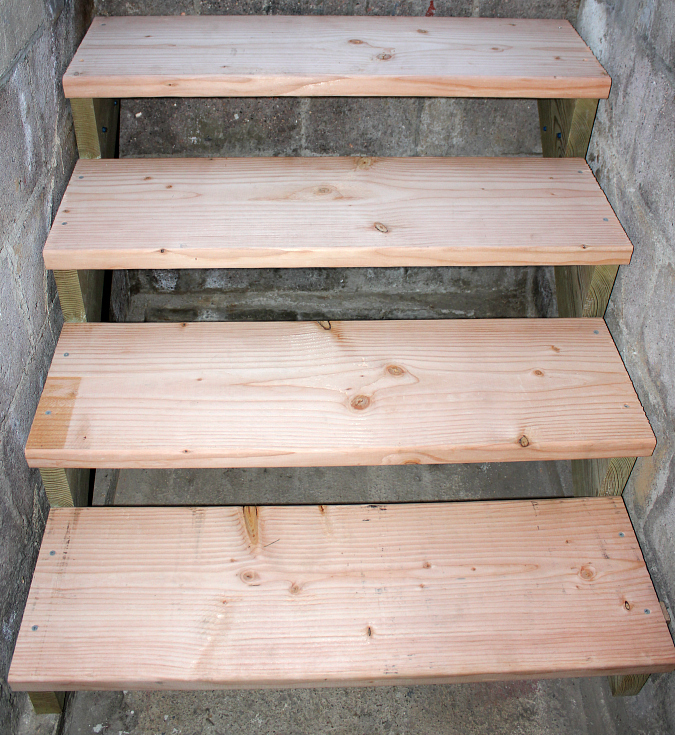 the stairs look great and they are so sturdy now. i love them! ryan's looking forward to staining the wood soon. even though he considered this to be just a "small project" i'm so impressed! thanks, hubby! Wow! Great Job Ryan. Are you for hire? You have a special someone there, take good care of him. Wow! He is a smart one!!! The steps look great!